Below is the transcript of Giants related questions answered by ESPN’s NFC East blogger Matt Mosley. Hey Matt. Linebacker, DL, or Safety where should the Giants go and also will McCluster be there in round 2. I would love the Giants to have another Tiki Barber type runner who is a home run threat every time he touches the ball. Jerry Reese isn’t a guy who gets caught up in drafting for need. If the best player at No. 15 is an OL, that’s the direction he’ll go. But I do know they like Taylor Mays out of USC. If 2010 will be an uncapped season, how will this affect the Giants plans regarding free-agent acquisitions? What will be the rules and will all free-agents become restricted? It’s not all &quot;all&quot; free agents, but it will significantly change the look of free agency. And it will make it a much smaller thing. The Giants will be affected just like every other team. There just aren’t as many guys in the pool — and I’m not sure they would’ve been big players anyway. If Rolando Mcclain somehow falls to the giants do you think Jerry Reese would pass on him if Antonio Pierce could come back. McClain was protected a lot in Saban’s scheme, so be careful on this kid. But yes, he’s an amazing athlete who could make a huge impact. The status of Antonio Pierce won’t prevent the Giants from drafting a talented LB. MM…been a long time fan of your blog. I know you probably seen a gazillion of my posts. Anyways, my thoughts…MM…You say that a few analyst have the Giants drafting a DE and you supposrt this with &quot;you cant have too many&quot;…but why wouldnt the Giants draft towards need this draft?In case you didnt notice, the Giants drafted &quot;to need&quot; the last 3 drafts and they havent went wrong…they needed a corner and drafted Ross…needed a safety and drafted Phillips…needed a WR and drafted Nicks. Prop: Based on last year’s evidence, I’m not sure how we can say they haven’t gone wrong. I know those are injuries, but still, you have to take into consideration. This team simply needs to improve as much as possible. Draft as much talent as you can and then hope it works out. Things didn’t work out last season for the Giants. Was that Jerry Reese’s fault? Well, I’m sure he needs to bear some of the responsibility. But the coaches also came up woefully short in ’09. It seems that the Giants have drafted a linebacker every year going back to the Accorsi days and have whiffed on every pick. Is this finally the year that the G-men address this glaring need early or should we suspect late-round picks and free agent re-treads again? I’m not really prepared to call Clint Sintim a whiff at his point. And we’re still learning about guys such as Goff and Kehl, who came on strong as a special teams guy last season. I think C.C. Brown, Aaron Rouse, Antonio Pierce and Danny Clark could all be gone. Mat, what will the market for David Carr be like? I see Arizona as a good fit. Solid Oline, emerging running game, and a plethera of talent at WR. Your thoughts. He’d be better off re-signing with the Giants. No real market for this guy. 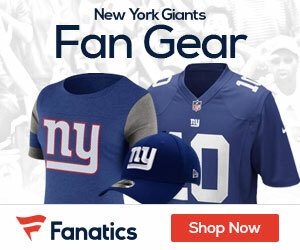 How will the Giants address the DT position? It seems that they need one more good big body in there that can hold it’s spot on the run and collapse the pocket (to give the edge rusher a better shot). I’d get rid of Robbins and Bernard and start over. How do you see the Giants fall from 5-0 to not making the playoffs? Easy opening stretch followed by a tough stretch that exposed some fatal flaws, namely the inability to rush the quarterback and cover wide receivers. IMO, we have Taylor Mays already, his name is C.C. Brown. Sure he can make a big hit, but he fails to wrap up and secure the tackle, and has absolutely 0% skills in coverage. I know whatever Jerry Reese will do will be the best move for the Giants, but please, no Mays. I am glad I am not the GM, because I have no idea on what the Giants will do. Maybe they will trade their 1st for Ryans from the Texans, he is a good MLB (2x ProBowler). Who konws. Just gotta say: In Reese we Trust.